This is the second post drawing on themes raised in Searching for the Catastrophe Signal. Forty-five years ago today, two geologists penned a letter to the president of the United States warning that the rocky descent into the next ice age might have already begun. A letter written by two Quaternary geologists George Kukla and Robert Matthews to Richard Nixon raised concerns that recent bad weather might indicated that the present interglacial was ending. This letter helped to set in train a series of events that raised the profile of climate anxieties in the USA and globally. Source: Reeves & Gemmill. The meeting of the United Nations Intergovernmental Panel on Climate Change (IPCC) in Sundsvall, Sweden, August 1990, witnessed a Third World revolt that was premeditated and forewarned. It had already begun in the previous working group meetings set to develop international policy responses to the climate crisis. But only in Sundsvall, under the leadership of Brazil, did it succeed in smashing this carefully conceived science-to-policy process at its very nexus. Within months the revolution was complete. At the United Nations General Assembly that December, the climate treaty process was taken from the IPCC and its UN parent bodies—the Environment Program (UNEP) and the World Meteorological Organisation (WMO). Instead, a new negotiating committee would report directly to the General Assembly, where the poor countries commanded an overwhelming majority. The IPCC, dominated by scientists from rich countries, was directed to serve this new committee in the interim, until a subsidiary body for technical advice could be established. As for the two peak science-policy organisations who first conceived the IPCC, by winter 1991 they were out in the cold. This banishment from the treaty process was particularly shocking for UNEP. In the afterglow of its success with the ozone treaty, it was coming up to the 20th anniversary of its inception at the 1972 UN Stockholm conference where global environmentalism was born. Riding a new wave of environmental consciousness, another grand conference was in the planning to mark the anniversary. The Rio ‘Earth Summit’ of 1992 would be the biggest UN talkfest to date, with its policy centre-piece The Framework Convention on Climate Change (FCCC). But few would ever guess just how much this Convention was a political triumph not for UNEP but for the conference hosts, Brazil. Its success would set in train the role of the poor countries in the climate treaty negotiations where the talks would stall and stall again with their repeated attempts to use the pretext of warming mitigation to increase the flow of aid. In The Age of Global Warming Robert Darwall details how global environmentalism concentrated itself onto the global warming scare. 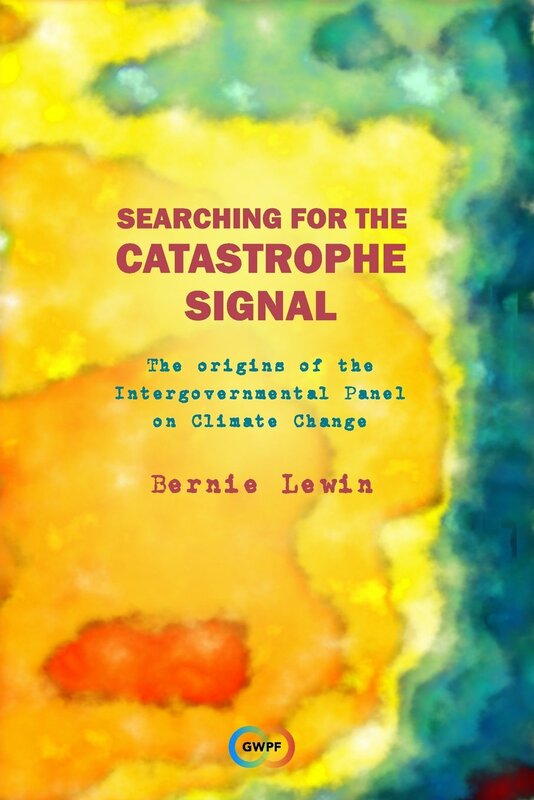 Here we take up with a group of activist climate scientists, tracing how they enter this political game, how the greater politics of the UN quickly overwhelmed and corrupted their science, and, finally, how the academies of science were soon dragged down with them…. This is the opening of my essay in the new book Climate Change: the facts, available in ebook from Amazon, or in print from the IPA. John Houghton writes of it under the heading: Meetings that Changed the World. He may be right but not only in the way he thinks. Here we consider whether this meeting in Madrid was the moment when climate science gave way under the monumental pressure of politics. When Ben Santer arrived in Madrid in the late autumn of 1995, did he know that this conference would change his life forever? Undoubtedly ambitious, a rising star in the climate modelling scene, he was doing well at age 40 to be leading the writing of a key chapter in the IPCC Second Assessment Report. In fact, the convener of this IPCC Working Group, John Houghton, had asked him to take it on quite late in the day, only after more established scientists had turned down the offer. Perhaps they had a hunch of what was about to unfold, for it would be Santer’s fate that great forces of history would bear down on the lead author of his chapter at this conference. When he was through with it, when Houghton had accepted the final draft a few days later, climate science would be changed forever. After a long struggle, the levees of science gave way to the overwhelming forces of politics welling up around it, and soon it would be totally and irrevocably engulfed.